Home » Event » Art Installation » Piano Sanctuaries. Good or Bad? July 25, 2017 July 25, 2017 2 Comments on Piano Sanctuaries. Good or Bad? 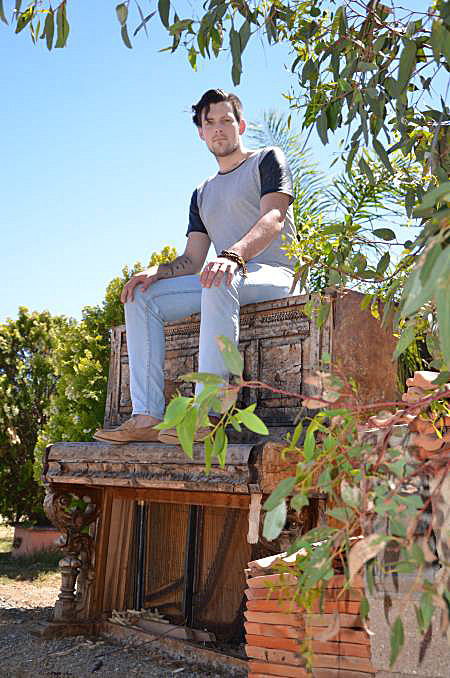 In February Jesse Budel, a local musician in the Rural City of Murray Bridge, South Australia (pop. 21,163), put forward the idea of creating a piano sanctuary in a local park. This was to be an art-installation with a view to increasing tourism. Jesse Budel. Photo: Peri Strathearn. On the face of it this seemed a rather good idea, that was until the residents grasped the full implications of the concept. What is a Piano Sanctuary? This is a site where pianos are placed and allowed to naturally degrade over a period of time. Visitors (passers-by) are encouraged to play the instruments and discover how time and decay changes both their appearance and tonal qualities. 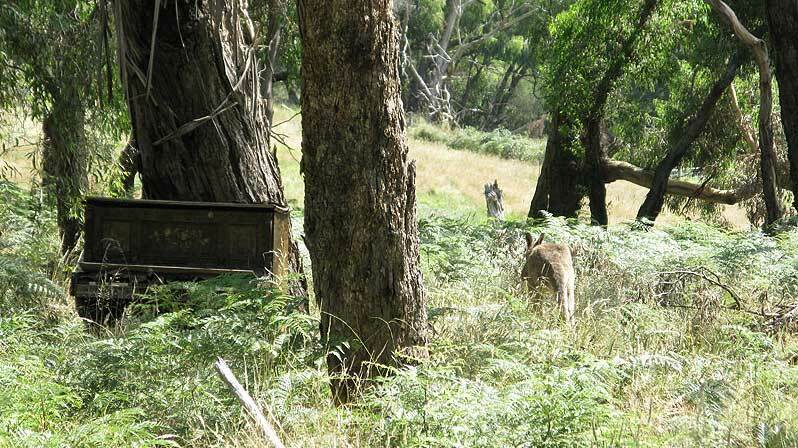 The world’s first Ruined Piano Sanctuary was established in Australia in 2005. Composer and musician Ross Bolleter had set up an installation of ruined pianos at the Perth Institute of Contemporary Art. When the project finished Bolleter relocated the pianos to the Wambyn Organic Olive farm in York, a town just north of Perth. There are now 35 or more decaying pianos dotted around the farm’s 160 acres. Visits are by appointment only (although I have been unable to ascertain whether the sanctuary continues to function). Previously, in 1991 Bolleter, (along with American Stephen Scott) had set up the World Association of Ruined Piano Studies (WARPS). Bolleter’s book, The Well Weathered Piano (3rd Edition, 2009), documents the founders’ ruined piano projects. And in 2010 Bolleter released a CD entitled Night Kitchen: An Hour of Ruined Pianos. Interestingly, there is a difference between a ruined and a devastated piano. A ruined piano, despite a level of weathering, retains the integrity of the instrument and can be played in a normal way, albeit with erratic tuning, cracked soundboard, and a failing action. A devastated instrument has started to disintegrate and may not be playable at all, although it will probably still be capable of producing sounds. 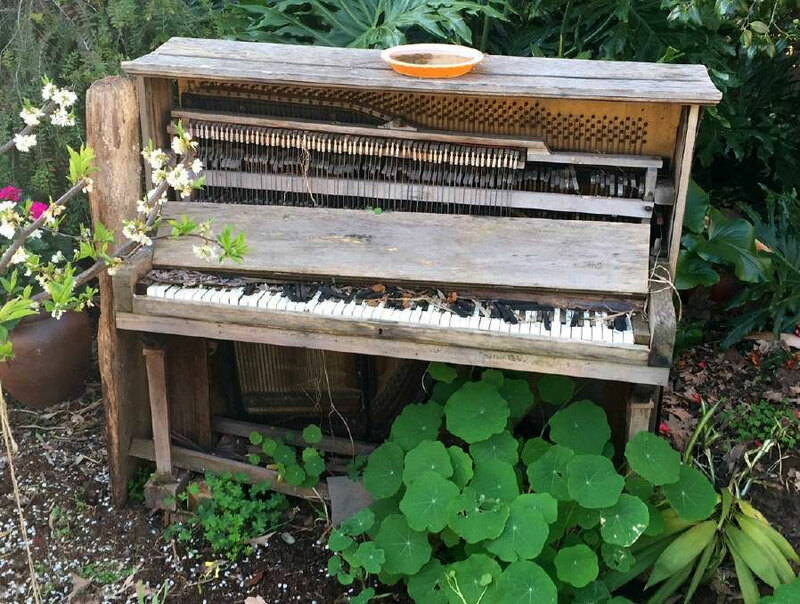 Back in Murray Bridge, some residents welcomed the idea of the piano sanctuary, others were appalled, likening the proposed sanctuary to a glorified dumping ground. The local council decided a period of consultation was required. Jump forward to last week, and the Murray Valley Standard ran a report stating that a scaled down version of the project was to go ahead—despite considerable local negativity. The council stated that they would initially limit the project to just two pianos which would stay for 6 months. But what do you think? Would you welcome a piano sanctuary in your neighbourhood? Perhaps re-cycling is a better option? Is this Art or a legalised dump-site? Thanks must go to Peri Strathearn at The Murray Valley Standard for his help with this piece, including some of the photos. More information: the Wambyn Organic Olive Farm Piano Sanctuary. Love the idea but the location is of concern. If I was a local resident I would be concerned at the noise & vandalism. It is a location that at night time is reasonably quiet so more chance of vandalism & pianos being set on fire. It is in a 80 kph zone with no foot traffic so for tourists, little chance of them noticing it. Pine Park has none of the negatives. easily seen, less snake chance, pedestrians can access it easily & a great feature & tourist attraction.